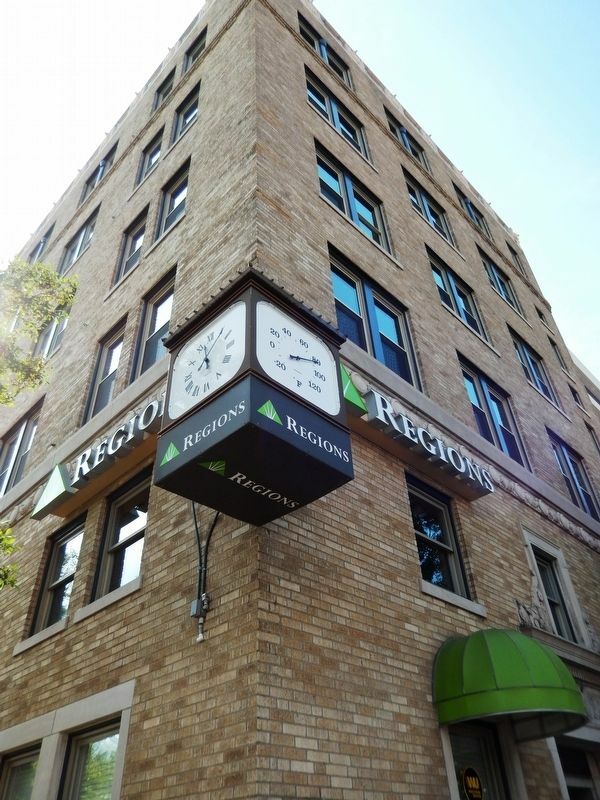 The Building, when constructed in 1927, was at the forefront of the business community with such prominent tenants as LeRoy Collins (Governor of Florida 1955-1961) and B.K. Roberts (Florida Supreme Court Justice 1949-1976). 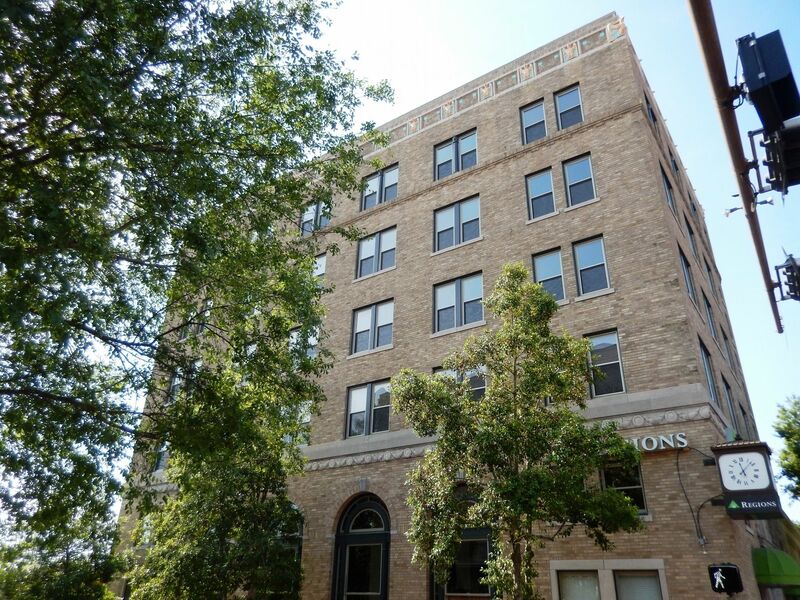 At six stories, it was the tallest office building in Tallahassee until 1975. 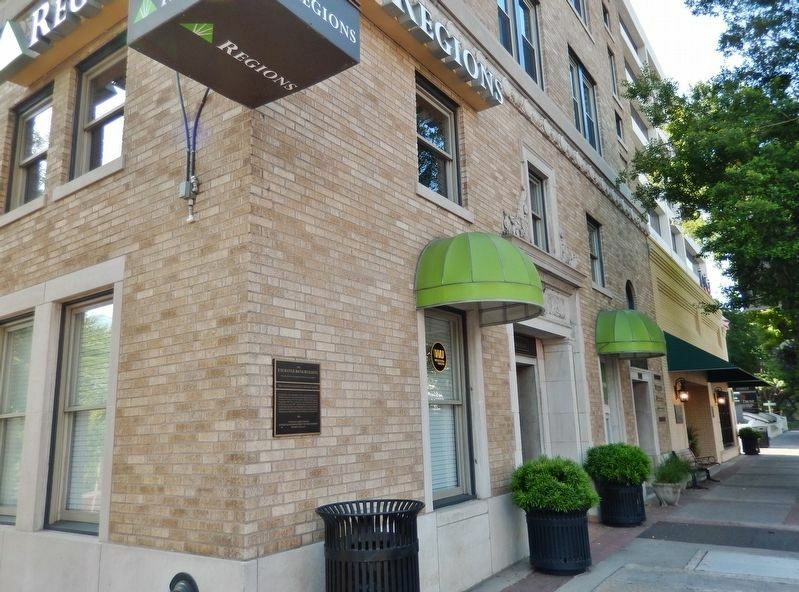 The Building is the only structure in the Original Plan of the City of Tallahassee on the Register to retain its architectural integrity and continued use for its original commercial purpose. 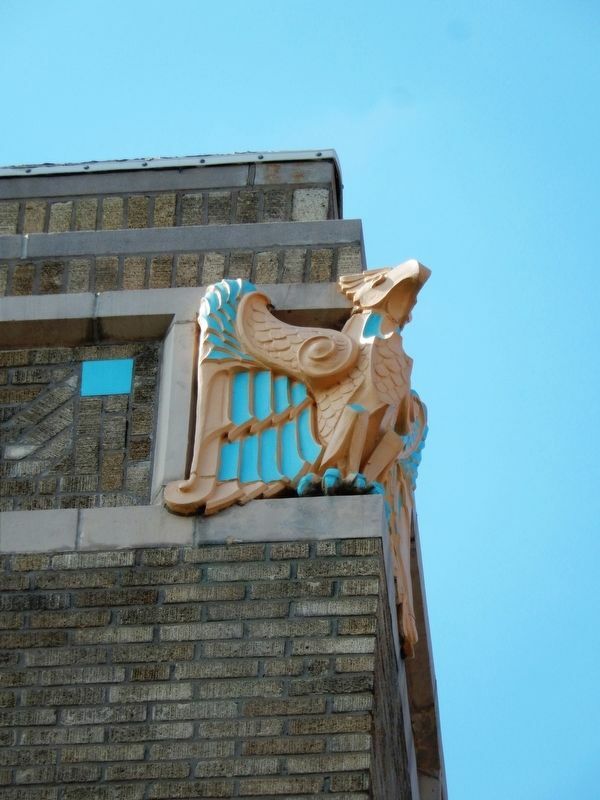 The Building was rehabilitated in 1985 by Wilton Miller and Robert Olive. north on South Monroe Street. Touch for map. Marker is mounted at eye-level, directly on the northwest corner of the subject building, facing South Monroe Street. Marker is at or near this postal address: 201 South Monroe Street, Tallahassee FL 32301, United States of America. Touch for directions. Other nearby markers. At least 8 other markers are within walking distance of this marker. Lewis Bank (within shouting distance of this marker); Leon County (about 400 feet away, measured in a direct line); Florida Sri Chinmoy Peace State (about 500 feet away); Leon County's American Revolutionary War Soldiers (about 500 feet away); The Knott House (about 600 feet away); Presbyterian Church (about 600 feet away); USS Tallahassee (about 600 feet away); Florida Liberty Bell Replica (about 600 feet away). Touch for a list and map of all markers in Tallahassee. More. 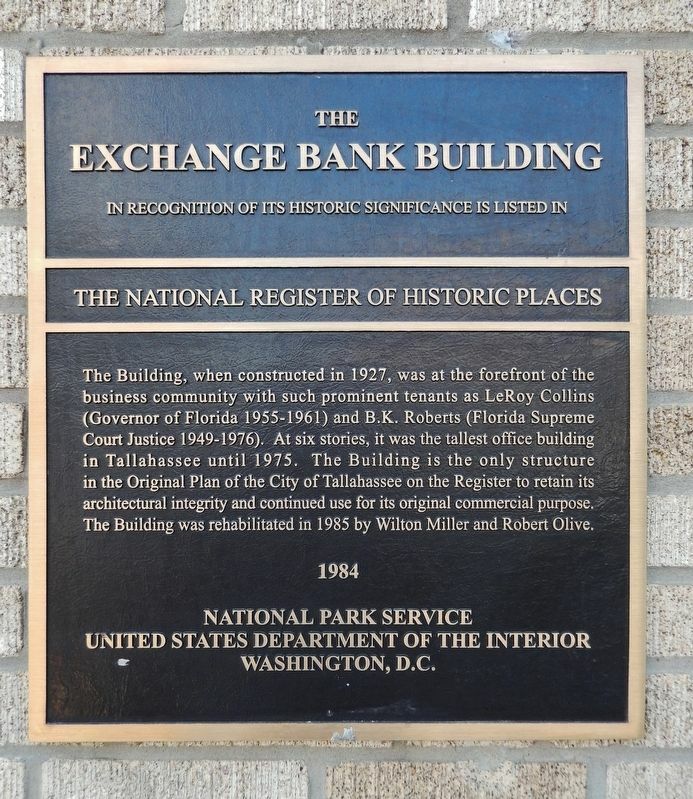 Search the internet for The Exchange Bank Building. Credits. This page was last revised on April 7, 2019. This page originally submitted on April 7, 2019, by Cosmos Mariner of Cape Canaveral, Florida. This page has been viewed 33 times since then. Photos: 1, 2, 3, 4, 5. submitted on April 7, 2019, by Cosmos Mariner of Cape Canaveral, Florida.